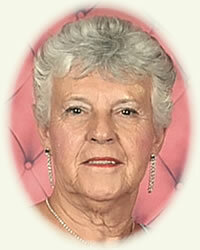 Obituary for Martha M. Daigler | Rhoney Funeral Home, Inc.
in Barker before moving to Florida. grandchildren, four great grandchildren, many nieces, nephews and cousins. A Memorial Mass will be celebrated on Friday, November 23, 2018 at 2:00 PM at St.
John the Baptist Church, 168 Chestnut Street, Lockport, NY. Arrangements were made through the RHONEY FUNERAL HOME, Sanborn, NY.